This is an example deployment that includes Prometheus, Kube-metrics and Grafana in a single deployment. Kube-metrics: A metrics system to export Kubernetes data to Prometheus. 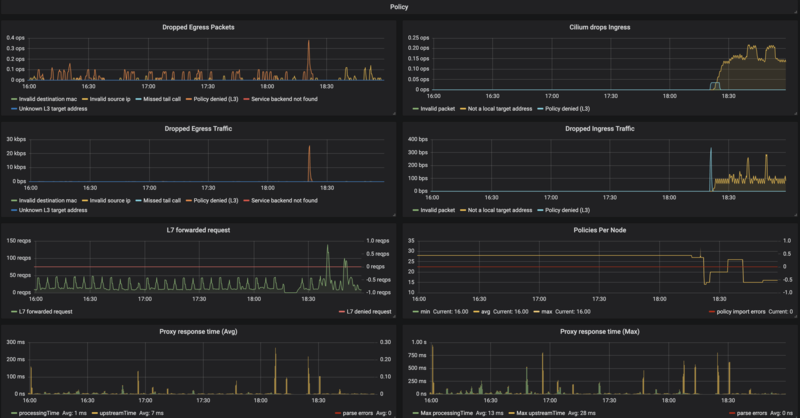 Grafana: A visualization dashboard with Cilium Dashboard pre-loaded. Prometheus: A time series database and monitoring system.